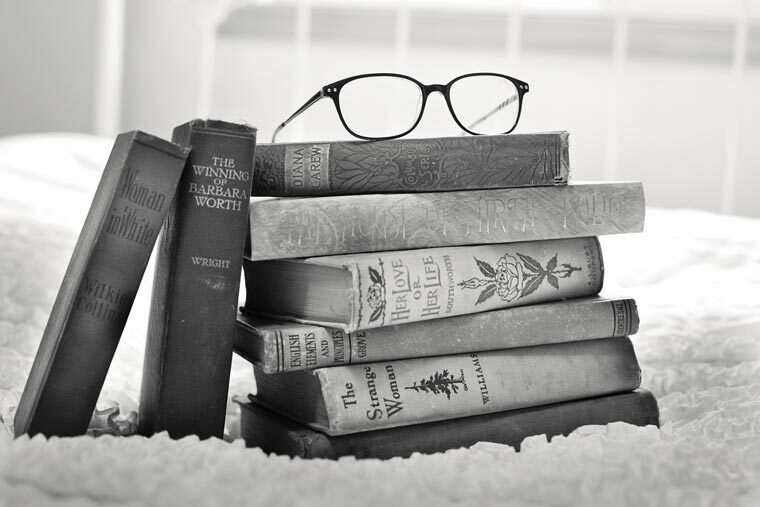 I can’t claim to be a voracious reader but looking back on spring and summer I find that I have savored, enjoyed, waded through, occasionally endured, laughed and sometimes even wept through 11-1/2 books. 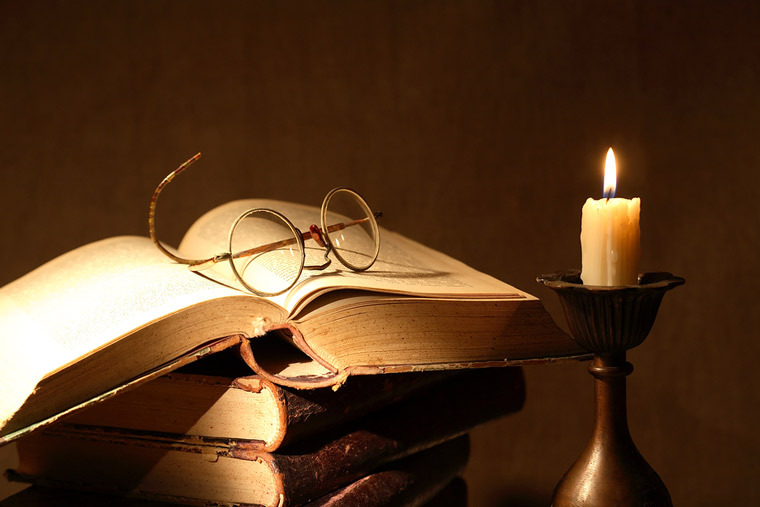 Why should you read my opinions about these books? I’m not a professional critic, after all. But because of my short list, you might pick up a book you otherwise wouldn’t have considered—or conversely, avoid something you might have thought of reading. And you are free to disagree. Now it’s also because you might have a preconceived notion that as a dentist I spend my nights in bed with Pete Dawson’s textbook or Craniofacial Pain: A Handbook for Assessment, Diagnosis and Management. In fact, I’m leaving off the list the strictly dental related stuff. The Dental Practice Shift, by Scott Manning lies half finished on my table, and I’ll leave such things alone without comment. Gasp! a book about airway and breathing by Michael Gelb, almost made the list, but it rests on a shelf with other dental texts. It is worthwhile never-the-less. And journals? If Outside Magazine and the ADA Journal arrive in the mail on the same day, well the Journal will just have to wait. 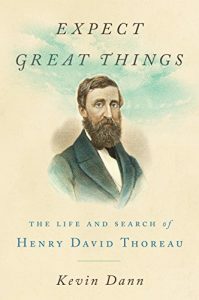 Since this is the bicentennial of Thoreau’s birth, a number of new biographies are popping up and most are favorably reviewed. Kevin Dann’s is the one I read, and thoroughly enjoyed. You read, or skimmed your way through, Walden back in high school? 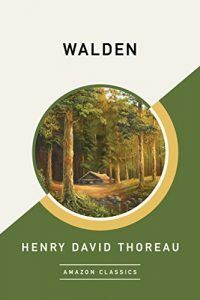 You might like this slightly different flavor of Thoreau and then perhaps take a chance on Walden one more time. 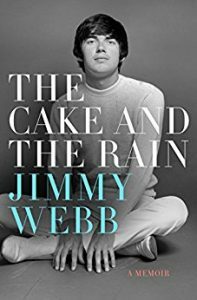 The Cake and the Rain is a perfect title as Jimmy Webb experienced a world’s worth of both–and the rain nearly did him in, could easily have killed him, or if not quite dead could have left him unable to remember what piano keys were for. Amazing Grace that he played on. Certainly my favorite book of the year—so far. Just get it. 3. 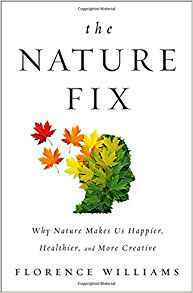 The Nature Fix: Why Nature makes us Happier, Healthier and more Creative. Florence Williams. Thoreau found inspiration in the quiet—well, relative quiet: there was that darned train that shook and ruffled the waters when it rumbled past—of Walden Pond. John Muir said, “The mountains are calling and I must go.” Beethoven loved to ramble among the rocks and trees; Wordsworth of course walked hundreds of miles through English countryside and once, having landed at Calais, walked across France all the way to the Alps. Nature was his greatest muse. Emerson famously wrote of man’s desire to understand his relationship with the infinite, of God and the Universe, and the power of nature to provide a key through direct experience of the wild. In The Nature Fix, Florence Williams offers scientific proof that we are indeed healthier with lowered blood pressure, better cortisol levels and quieter EEG waves if we’ll just get out and “forest bathe” as the Japanese call it, for a minimum time each week. Studies cited are not just physiological but behavioral as well. The writing is clear and lucid and the message important. Cityscapes can’t offer the benefits of a good walk in the woods, or even a drive down a tree-lined country road if walking just isn’t your thing. In fact the opposite is true: too much time spent with concrete under foot and towering overhead drives up blood pressure and sends the EEG machine chattering. The book is an excellent reminder of our genetically ingrained need for the salve of the natural world. 4. 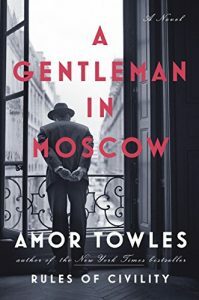 A Gentleman in Moscow. Amor Towels. The year is 1922 and the place, Moscow. Count Alexander Rostov has been placed under house arrest in the Hotel Metropol, where he already resides. Just a few years have passed since the second Bolshevik Revolution and it’s not a good time to be an aristocrat in Russia, especially one who has written a counter-revolutionary poem. If you are seen outside the hotel, you will be shot! Rostov is told. And so begins this delightfully told tale of his decades long confinement, the people, the love, the intricacies of place, the changes. A clear motivation that leads to his personal rebellion against Soviet authority, you will just have to read for yourself. The finest novel I have read in years. 5. 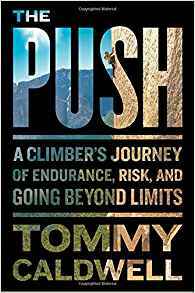 The Push: A Climber’s Journey of Endurance, Risk, and Going Beyond Limits. Tommy Caldwell. This book has received tremendous critical praise and deservedly so. It culminates with Caldwell’s free climb of the Dawn Wall on Yosemite’s El Capitan, but there is so much more. You may not be a mountain climber, but certainly you have some dream that may lie seemingly beyond your grasp. Enjoy Push for the story, but take from it some inspiration for your own climb—whatever that might be. Simply the best outdoor adventure story I have read in quite some time. 6. 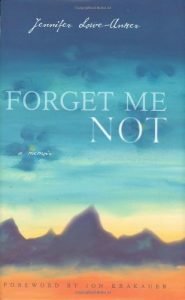 Forget me not: A Memoir. Jennifer Lowe-Anker. This beautiful memoir has received mixed reviews, some glowing and some bitingly negative. I may have been pre-conditioned to love it because I’ve watched the documentary Meru at least three times. It’s the only thing I’ve seen in an actual movie theater in the last 2 years (Okay; maybe I don’t get out much). In October, 1999, Alex Lowe, one of the world’s most accomplished mountain climbers, was killed in an avalanche in Tibet and his climbing partner, Conrad Anker, badly injured. This memoir by Lowe’s—and subsequently Anker’s—wife Jennifer is the story of their early adventurous years together, his death, her grief and renewal. I rank it among the best of the last year. 7. Ordinary Grace. William Kent Krueger. 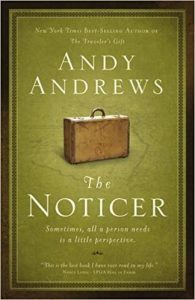 This novel drew universal praise; it was even named novel of the year 2014 by the New York Times. And, while I can recommend it, I found it to be a story that couldn’t quite figure out what it wanted to be when it grew up. Is it a coming of age story of two young brothers growing up in Minnesota in the summer of 1961, or is it at its heart a murder mystery? In the end, it is a coming of age story told by middle aged Frank Drumm looking back on his 13th summer—a year when it all changed. But wrapped around it is a murder mystery and that may take the reader by surprise—unless you’re already a fan of William Krueger mysteries. And then I suppose you know what’s coming. Surprise! It’s a murder mystery. And the clues are sprinkled, and not too subtly either, almost everywhere. 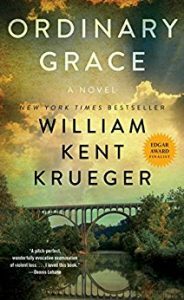 The writing is fluid, descriptive, emotionally authentic and yet the murder mystery seems tacked on, like an appendage, to what is really the tale of a miracle: one boy’s blossoming in ordinary grace. 8. 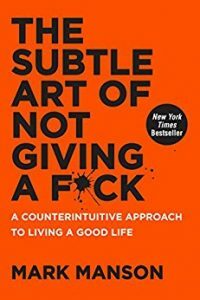 The Subtle Art of not Giving a F***. Mark Manson. I am not alone in having to force myself to get passed the potty-mouth title. The title may be the only reason this book is a best-seller; there’s a certain appeal to uncensored vulgarity. Still, there is some value here. While the title may lead you to expect this book to be a call for an apathetic attitude, it is in fact the opposite. It is a call to carefully consider what is worthy of your commitment; it is a call to choose what you will care enough about to act with responsibility and courage. Title and all, it’s a worthwhile read. ‘Sometimes all you need is a little perspective,’ reads the subtitle. And I suppose that’s true. But the solutions to the characters’ problems seem all too pat, too simplistic. Life challenging difficulties evaporate and vanish like wisps of fog in early morning sunlight. A seeming mix of Dan Millman and Norman Vincent Peale, this is a religious science fiction; it is not without merit but approach with some caution. 10. 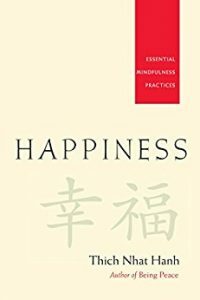 Happiness: Essential Mindfulness Practices. Thich Nhat Hanh. I read this book while camped under the aspens in the Glacier Lodge area of the Eastern Sierra, so it’s possible that almost any book or no book at all, just breathing in the still mountain air, could have provided a calming of body and mind. I don’t believe that this book is one to read straight through; instead I see it as a series of practices and exercises that one may pick and choose as desired. There are sections that will appeal to you and those can be chosen for their value to visit and revisit as desired. Mindfulness meditation is as ubiquitous as Starbucks these days according to one critic, but that doesn’t detract from its usefulness. I found this small text enjoyable and worthy. 11. Walking the Himalayas. 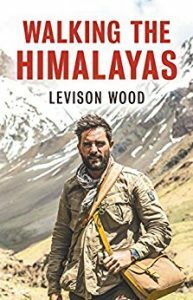 Levison Wood. I expected to thoroughly enjoy reading this account of a months-long trek through the high mountains of south Asia by one of England’s best-loved travel writers. What could there be not to like? And the answer is: Plenty. I’m actually surprised that I finished the whole thing. The book is humorless, lacking in empathy or insight; it’s a good dose of British boredom. I found it interesting that early in Walking, Woods states that one of his favorite books is Eric Newby’s wonderful A Short Walk in the Hindu Cush. Woods even says he has read that book as many as a dozen times. Too bad Woods didn’t learn anything from one of the best models of excellent writing to be found in English. Walking the Himalaya went straight to my recycle bin—the real not virtual one—and did not find a home on my bookshelves. 11-1/2. Walden. Henry David Thoreau. We all read this in high school, didn’t we? Or at least pretended that we did. We remember an odd young man—at least we thought him young—living alone by a pond in a house he built for himself for 20 or 30 dollars and that he stayed a year or two out there by himself. And we had to parse the sentences as though we were reading the Existentialist philosophers. I’ll take my time with my re-reading, if in fact I ever really read it at all or whether I pretended to years ago. It’s full of subtle humor, not so subtle ridicule, and fine observation. Of course he thinks the men in town fools for working so many years of their lives just to pay off a house. He thinks the men in town are fools to sit with cups of coffee in the morning reading the news. Who cares what’s happening in Spain? he wonders. Why so much hunger for useless news? He thinks most men and women of his day are nearly illiterate. Oh, they learned how to read all right, but as adults they indulge in ‘easy reading,’ as though they were still in third of fourth grade, never continuing to educate themselves. The village, he contends, should be very much a university and its inhabitants should be reading The Illiad, perhaps in the original Homeric Greek as he himself could. Although, in a pinch he supposed that a good English translation would do. His call to simplify rings true today, as does his early version of Mr. Money Mustache Man’s frugality. And news? Zig Ziglar says if you want to maintain a positive attitude toward life, you should avoid the news altogether—somebody will tell you if WWIII starts. Personally, I disconnected my cable nearly two years ago and have not watched a single newscast since. But I still enjoy perusing the morning paper while I have my coffee. Thoreau would tell me to give that up. Simplify, simplify, simplify, he says. My wife, Andrea, wears a Fitbit and it tells her that if she’s tucked in her sleeping bag in our tent on a mountainside she sleeps longer and deeper than in her own bed at home. So why not sell the house and live a year in the tent? I ask. It’s obviously healthier than home after all. But she fiercely, adamantly declines. You can take Thoreau’s call for simplicity only so far I guess. Thoreau might look at my list of books and call them all easy reading—all except for his own of course. And I suppose he would be correct. I had to reach for a dictionary occasionally in Jimmy Webb’s delicious book, but I turn to it frequently while reading Walden. So many years have passed since he made his observations not just of nature but of men, and so many still hold true. Go do the homework you were assigned back in school and read it. Is this the face that launched a thousand hiker’s boots? Spoiler alert: I might spoil the ending of the book and movie Wild here. If you don’t want to know about the endings, I suggest you skip this. 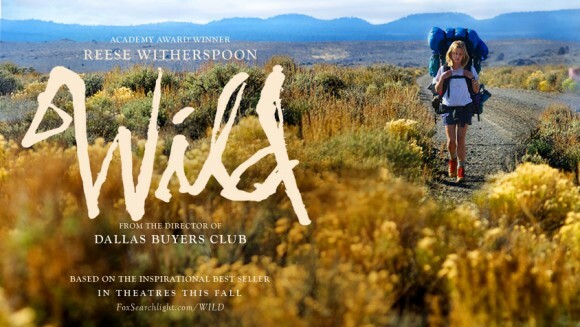 Last year I bought the Kindle version of Cheryl Strayed’s book, Wild. Much as I admired her rather fine writing, it didn’t take me long to decide that she was doltish and inane, her hike ill-considered, her past–though perhaps titillating to some–injudicious at best. In short, I didn’t find her someone I wanted to hang out with through all the pages of the book. I put it down. My wife though, stuck it out, through blisters and blackened toe-nails and days of rain. In the end she was disappointed. “It just didn’t come to enough,” she told me. Eventually I picked it up again and slogged my way through. In the end, Ms. Strayed seems to know that 1100 miles on the Pacific Crest Trail may have taught her something–she can feel some inkling of it inside, but she can’t articulate it. There is a lesson, but it is like, she says, a fish glimpsed briefly in the water of a sunlit pool, but when trying to reach into the pond to grasp it, it slips away. Dentists: We are expanding our practice to better serve our patients. 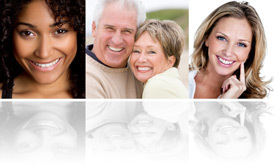 Are you a licensed dentist interested in joining a TMJ focused practice? To discuss the possibility of your becoming part of a special practice, drop me an email or phone me at the office. Doctors, it's here! 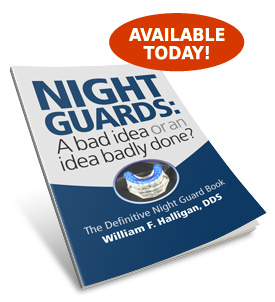 Dr. Halligan's new eBook will show you how to produce night guards that require far less adjustment and are much more comfortable for your patients. CLICK HERE TO LEARN MORE.